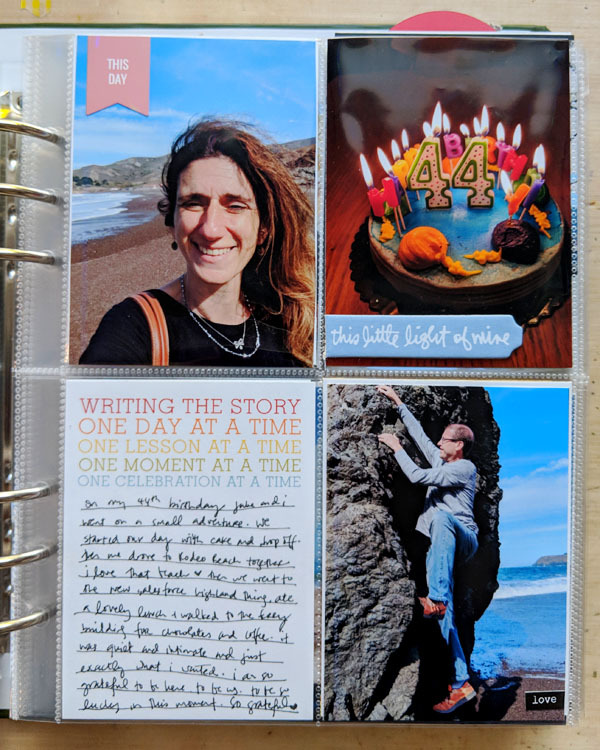 This story is about my birthday when I turned 44 and we went to the beach just Jake and I. It was a wonderful day and it makes me happy just to look at this page. 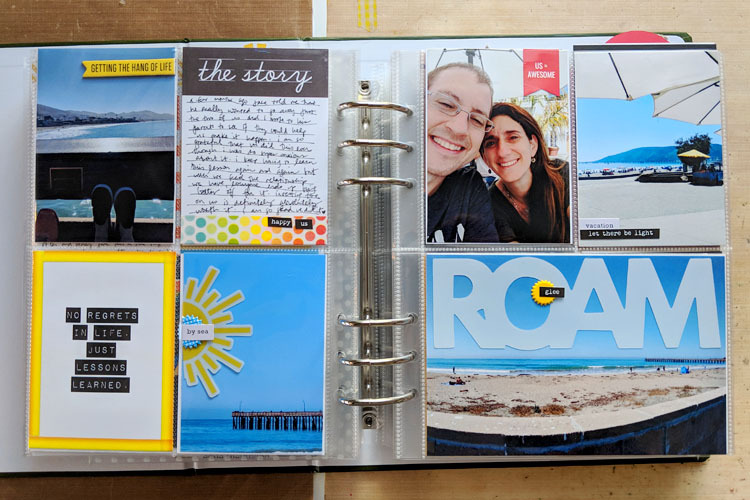 Here are two more stories from my 2018 album. The content for these still mostly come from the “light” kit which was one of my favorites because it had all these super-happy colors. This one is about the two-night get away Jake and I took when his parents flew to California so we could go away just the two of us. We went to a tiny town called Cayucos by the California Coast and it was relaxing, and wonderful to connect with the love of my life.